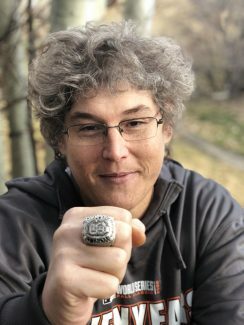 Now two decades into his two-year stint at the Vail Daily, Chris Freud covers everything from high school sports to World Cup skiing and just about everything else sporting in between — biking, running, snowboarding and snowshoeing. If you haven’t noticed, he is a native San Franciscan and doesn’t waver from his pathological following of the Giants (2010, 2012 and 2014 World Series champions) and the once-proud 49ers. When he isn’t working, Freud is usually on a golf course maintaining his high-20s handicap. And, yes, he wears his Giants’ orange and black just about everywhere.